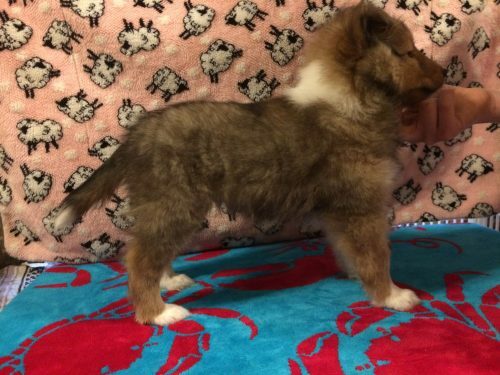 she just shows what our dogs turn out to look like..
We breed to promote and preserve the Shetland Sheepdog per our National breed club(ASSA) American Shetland Sheepdog Association guidelines. 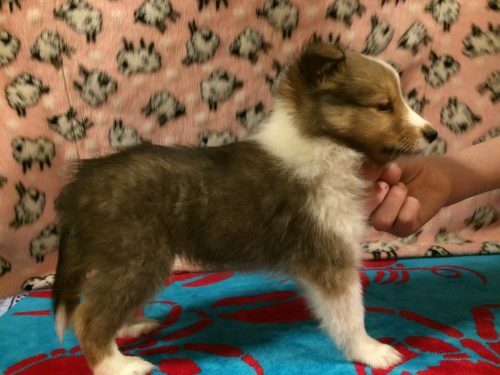 We have puppies that do not meet the specifications to carry on as a breeding/show dog. At this time, we must place these puppies as companion animals. . Our puppies are loved first and foremost, They are the product of well thought out breedings to produce happy, healthy representatives of the breed. 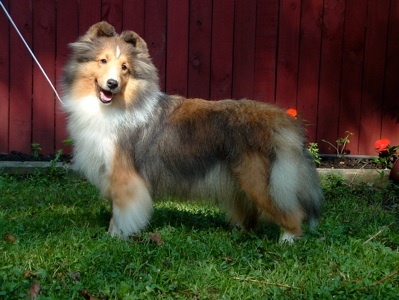 dogs that will excel and shown their virtues in agility, obedience, herding and conformation. Our dogs are breed to have that special temperament that fits easily into your lifestyle, The type of dogs that you will love and cherish for the dogs life well into old age . 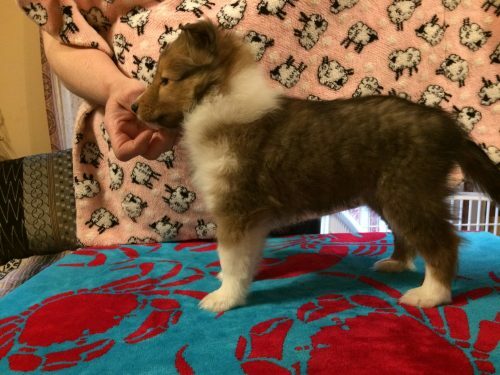 shelties love there family, they have a solid temperament that can always be trusted, with high intelligence, eagerness to please, and a joy of life . They are agile and well built with sound bodies, sound minds that are built to do the work their breed was meant to do. Of course we breed for the conformation ring and strive for the ideal, but the bigger picture of a happy healthy dog is of utmost importance. These puppies may not be showable due to size, bite, or coloring but they are every bit champions in their role as companions and performance dogs.. Here at Belmar we strive to give our puppies all the love and care, socialization that will give them the outgoing temperaments that we love . We raise our puppies in our home with our family and give them all the care , love, socializing to make sure they are happy and healthy and will be the best that they can be. Our dogs always know that they are loved and cared for at all times. 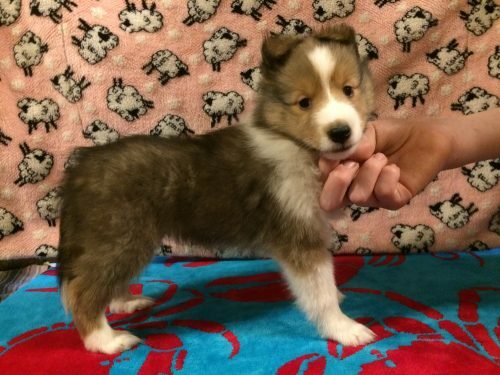 Our puppies and adults are up to date on all routine shots and wormings, are fed high quality food and given plenty of toys and activities to make their lives happy and joyful . I feel very strongly that the future of our dogs is in our hands, we work hard to make it the best that it can be. Our puppies, both show and companion are fully guaranteed for health 3 years and genetic defects until 5 years of age. , we stand behind our dogs. We do not breedt to known problems, We do our best to screen all of our breeding stock to make sure all of our puppies will be healthy happy lives.. . We guarantee that we have you and the animals in our minds first and foremost at the planning of each and every puppy. we are planning to make a contract page so you can read and go over it.. coming soon. All the puppies or dogs that we sell, are welcome back at any time for any reason. If you are ever unable to care for or keep your sheltie it has a home here for the rest of its life or we will place it, if possible, in a loving home, no questions asked. We never want you to take your dog to the local animal shelter or rescue organization. Our dogs are always part of our family for life. 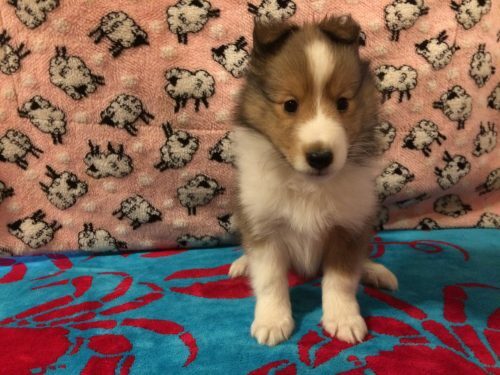 A sheltie must never be in a pound. or if you need a dog setter we would be happy to board your sheltie for you while your away.. don’t hesitate to call. 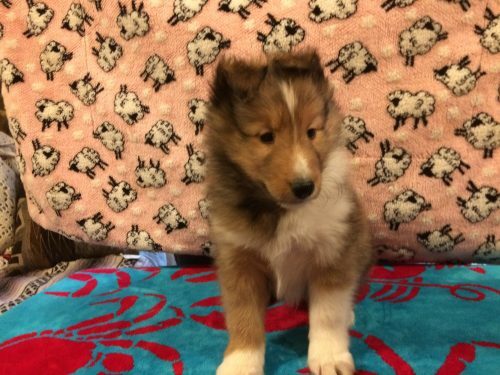 All dogs available from Belmar shelties are sold to approved homes only. We reserve the right to choose what home is best for our dogs. The welfare of our puppies is of highest importance. 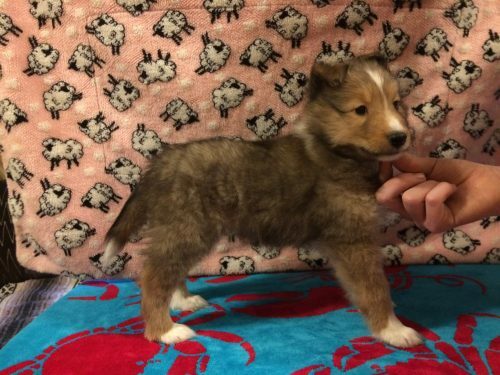 Puppies will not be held before purchase, References will be asked for and checked, no puppy will be sold sight unseen, We must meet you to adopt one of our puppies. we feel that coming and meeting our dogs in person allows you to get to know us better, the type of home that your puppy has been raised in. We hope you come back to us again, for another puppy, like a lot of others have..
Our pet puppies are generally available for $1300.00 on a spay/neuter agreement. If you would like a copy of the contract please contact us, and we will email you a copy.. so you can read and go over it. The Deposit will be deducted from the price and balance will be due when you pick the puppy up. time, the deposit will be forfeited. We have two Boys available in our current litter.